The capital city of Costa Rica, San Jose has a huge variety of hotels to choose from. The city itself has everything from high end luxury hotels to small lodging facilities that are in the heart of surrounding countryside. The city of San Jose also has the biggest international airport of the country, the Juan Santamaria International Airport. 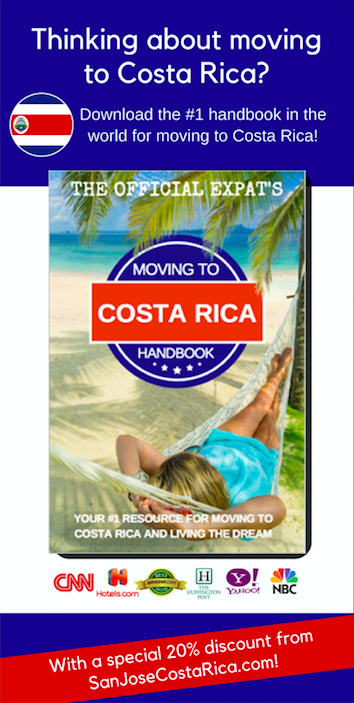 So we are pretty sure if you have booked your flight tickets to Costa Rica, the odds are that you are mostly going to enter the country through the San Jose airport. Although majority of visitors use San Jose just as a starting point to visit the other beautiful places that are in Costa Rica, some travels who are interested in the cultural happenings of the capital city may decide to stay for a couple of days before heading out. San Jose has a lot of hotels, each having its own budget, style and appeal. There are a number of different accommodations in the central valley area that surround the capital city. While some are located just in the downtown area, others are a little further from the city itself offering amazingly unique tour options on site. Here are our recommended hotels in San Jose which are the best of the best in the city. Hotel Grano De Oro is in the heart of San Jose. It was a Victorian mansion before it was turned into a 40 room hotel giving visitors a feeling of private home. All the rooms in the hotel have free wireless internet access, flat screen with cable tv, coffee maker, air conditioning and electronic security. 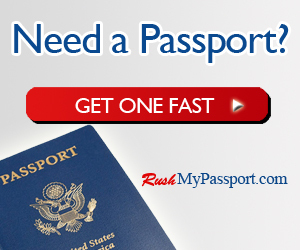 Services like luggage storage, laundry service and currency exchange is available on site. There is also a large in room private Jacuzzi in the Vista De Oro Suite. Finca Rosa Blanca is an excellent family owned art and coffee hotel just outside San Jose and is known for its on-site coffee plantation. If you love exploring culture, this is the best place to stay since it has everything from artisan crafts and murals built right inside the many rooms of the hotel. There is a hill side infinity swimming pool that is surrounded by tropical gardens and secluded decsk that offer magnificent views while you sunbathe in the open. There is also a spa, pool and restaurant onsite which are also surrounded by beautiful gardens. The Marriot in San Jose is a Spanish colonial style deluxe resort that is located between the downtown and airport offering a lot of convenience to visitors. It also offers a view of 30- acres of coffee plantations on site along with two amazing pools and Jacuzzi that is in a garden. Other facilities of the hotel features a health club, saunas, jogging on natural trails, restaurants, three tennis courts, golf pro shop, salon and a martini bar. There are 299 spacious rooms in the hotel that all feature mini bars, cable tv and plush mattresses. Hotel Alta is a comparatively small hotel having 23 rooms built over 5 stories. But it is a very modern boutique hotel that is located in the Escazu overlooking San Jose and the central valley. It offers great privacy inside its spacious rooms with services like a bar, pool, restaurant, wireless internet, meeting rooms and a library. The 23 rooms of the hotel offer a great view of the city below from its private balconies. All rooms are furnished with Italian filament lamps, leather chairs, toiletries and pictures of the 1920’s life. Aloft San Jose is a relatively new hotel in San Jose which features ultra comfortable signature beds, custom amenities by Bliss, over sized shower heads, plug and play connectivity, 42’’ LCD tv inside rooms with services like a bar, restaurant, lounge, pantry, wireless internet everywhere in the hotel. One of the best bits about the hotel is that it is based in a very convenient location in the city which has access to many different adventures for all kinds of visitors. The best boutiques and restaurants in the city are just 5 minutes drive away from the hotel, making it an excellent place to stay. Park Inn San Jose has 125 spacious rooms and is located in Downtown San Jose. This hotel is also extremely conveniently located just three blocks from the main avenue of San Jose which has many amazing activities to do like shopping, sightseeing, dining and visiting the nearby National and Jade museums. Inside the hotel you will get the services of a popular restaurant that serves live grill on site, outdoor pool and a gym. Inside the room it offers extremely comfortable furniture along with a 42’’ plasma screens with HD channels 24/7. Xandari Resort and Spa is an excellent place to stay especially if you enjoy tranquility and relaxation. The 22 villa hotel has modern architecture that sets itself apart from the rest of the hotels nearby. It has swimming pools, private trails and a 40 acre secluded coffee plantation that gives you views of the central valley. When you are there, you can experience the best in spa services. An open air Jacuzzi means that you can enjoy the views of the central valley while relaxing with other services like manicure, body wrap, hot stone massage and more! The Hotel Bougainvillea Heredia is located on a 10 acre of lush gardens. This hotel offers the true beauty of Costa Rica and you don’t even have to leave the hotel. It has balconies that open from the rooms and display the marvelous views of the mountains on one side and the skyline of San Jose on the other. But that’s not all, the hotel also has some of the best rooms available in town with private balconies, flat screen TV, safety deposit box, Wi-Fi across the hotel. When you book there, you can choose to pick a room facing the mountains or the skyline. Overall, the hotels aren’t anything impressive. You won’t find a Four Seasons type hotel in San Jose, unfortunately. For the all male crowd, you can try the Del Rey for a lot of shenanigans, but this is NOT family friendly.